There is no respite from scorching heat in State. Sun is spraying fire. Swollen temperatures and hot winds have affected the normal life in almost every part of State. In last twenty-four hours, rainfall was recorded in some parts of Rewa division. Some parts of State reeled under the grip of heat wave. Bhopal sizzled at 42 degrees Celsius and it is highest maximum temperature recorded in State capital in current summer season so far. 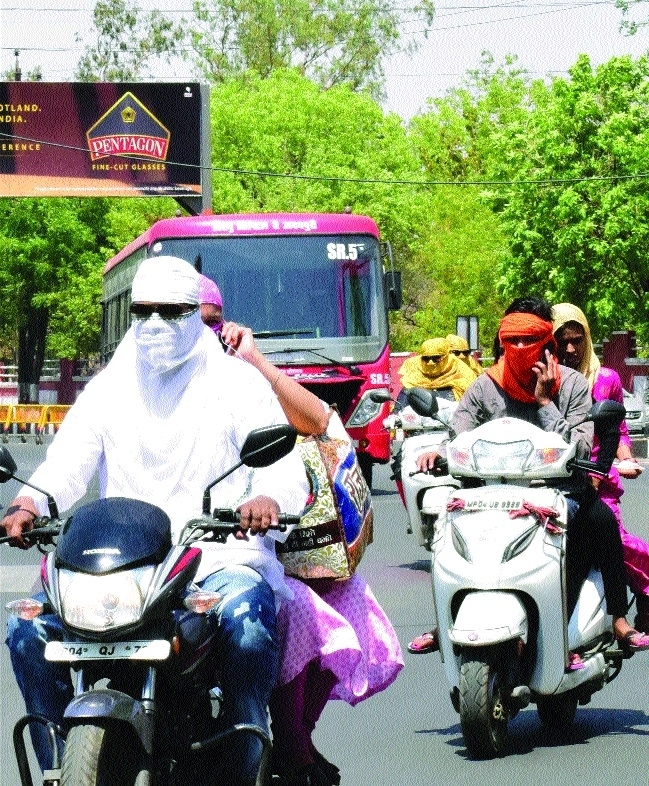 Indore recorded maximum at 40.5 degrees Celsius, Jabalpur 41.8 degrees Celsius, Gwalior 41.6 degrees Celsius. Khajuraho, Naugaon, Damoh, Khandwa, Shajapur, Guna, Dhar and Umaria recorded maximum temperature of 43 degrees Celsius. Sagar, Rewa, Sidhi, Satna, Ratlam, Rajgarh, Ujjain, Betul, Jabalpur, Gwalior and Mandla sizzled at maximum temperature of 42 degrees Celsius. Weather Department said, Khargone was the hottest place in State and its maximum temperature was 45 degrees Celsius. Weather forecast says that light showers and duststorm are likely in some parts of Rewa, Indore divisions and districts including Ratlam, Ujjain, Dewas, Sehore and Raisen districts. Heat wave is likely in few parts of Ujjain, Indore, Hoshangabad, Sagar and Gwalior divisions. As sun is breathing fire, hence it is now becoming difficult to remain outside for long hours. By noon, roads start to wear a deserted look as people prefer to remain indoors as much as possible. As hot weather is leaving throats dry, sale of cold drinks has shot up in unprecedented manner everywhere. People are buying cold drinks, lassi and juices to quench their thirst. As heat has become unbearable, henceforth, people think twice before stepping out of homes and offices during day time. There is no relief in sight from extreme heat and hence, people will continue to face the wrath of burning sun.